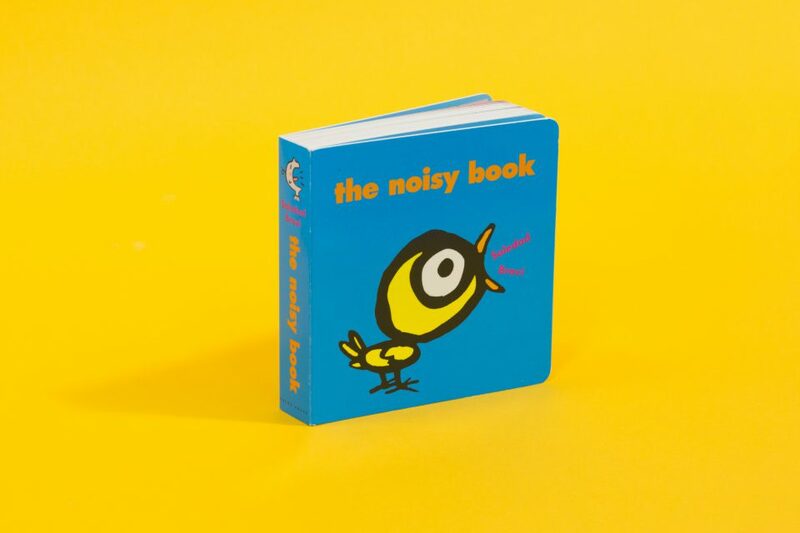 With over 100 pages, The Noisy Book is a unique boardbook is full of bright, bold illustrations and lots of noises to make. It’s perfect to share with a baby or toddler. 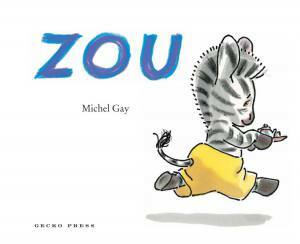 This is such a fun book for little people who are learning their sounds. The illustrations are simple and bright and the repetition of the format keeps little people’s interest … My child loved it and it’s a fun activity read for young people. Turns simplicity into something like an art-form, and unlike most board books, this goes the full distance – all one hundred pages of it! … Little ones will adore the bold, barmy illustrations and the opportunity to try out new sounds. Grown-ups may well be reduced to helpless giggles by the cavalcade of daft noises they’re required to make. Everyone’s a winner! This chunky (over 100 pages!) 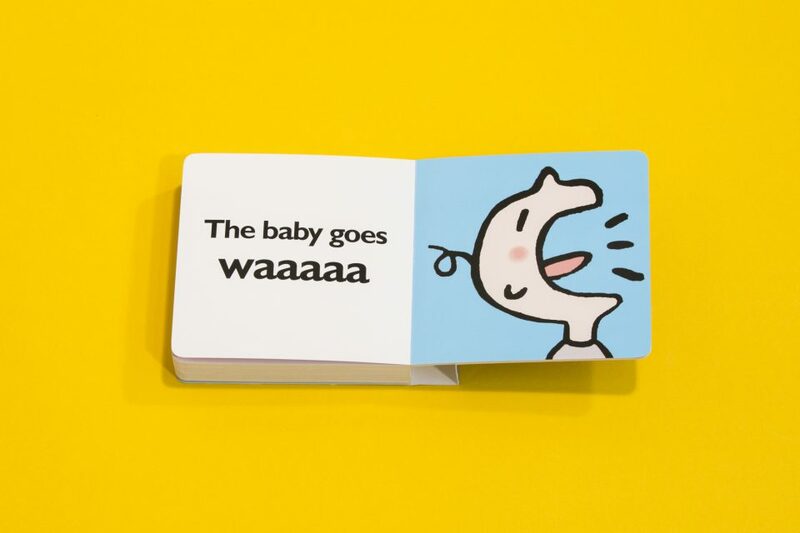 board book offers a huge selection of noises waiting to be acted out. There is an incredible selection of noises covered in this book, from the predictable baby book ones to more unconventional, and even sometimes surprising, ones. This unusual take on a staple ingredient of a baby’s book diet, teamed my Soledad Bravi’s bold, bright and uncluttered style allows The Noisy Book to stand out from the rest of the offerings in this genre. This is a lovely board book with over a hundred pages. You will have great fun reading this to your baby and there are lots of sounds not usually seen in picture books … The bright, clear and simple illustrations and their vivid contrasting backgrounds are perfect for babies and the chunky book is ideal for little hands. A super first book and great fun for reading aloud. Adults love making sounds to babies. With The Noisy Book they’re given plenty of scope. This sturdy board book has over 100 pages of objects and animal noises to explore. There’s many surprises … Bright, eye-catching illustrations focus on each subject. Great fun. Gecko Press is my favourite publisher! 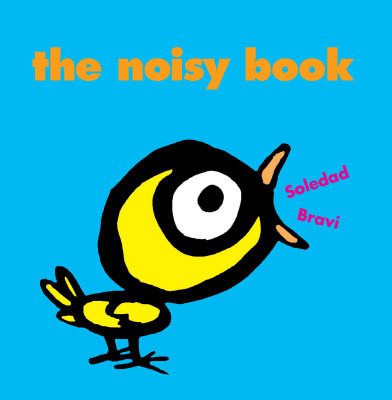 I just love their books, particularly The Noisy Book, a board book by Soledad Bravi. It’s the book I pushed most at Christmas. This must be a first. A board book with over 100 pages! The pictures are bright and bold and many of the noises they depict are predictable but in some the text steps right outside the square. The power socket goes ‘no’, the bottle goes ‘mmmmm’ and the snail? Well naturally the snail doesn’t say anything – he just waves his elegant feelers. 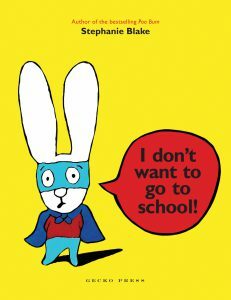 An interactive book for very small readers to share with adults. A sturdy board book with over 100 pages of noise! 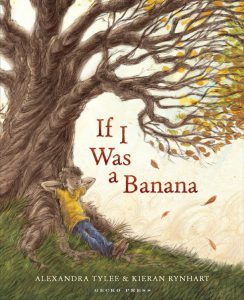 A great book to share – very loudly – with ages 2+. This book will indeed make for a noisy bedtime read. With over 100 pages of bold, standout images for kids to point at, this book is perfect for early learners. This could easily become a favourite carry-round item for your toddler, and would be a great book to go under the Christmas tree. A board book filled with bright, bold illustrations and lots and lots of noises (over 100 pages)… What I like most are the noises you don’t expect, like `The cold goes aachoo,’ `Mummy goes kiss kiss,’ and `The power socket goes NO!’ This is the perfect book to share with babies and toddlers because everyone can enjoy making the noises. Fun to read, and fun for the readee as well. I’ve read it several times already to the seven-month-old in my household, and we both enjoy the experience. The Noisy Book lives up to its name. The author’s illustrations are admirably simple, bold and colourful, a pleasing match for the easy to read text on the facing page. 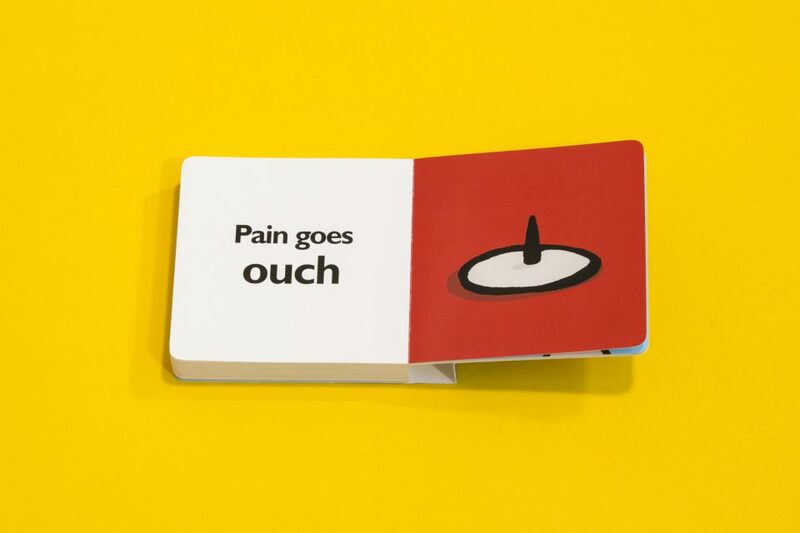 The board book format is flexible enough to be welcoming but strong enough to withstand small fingers. 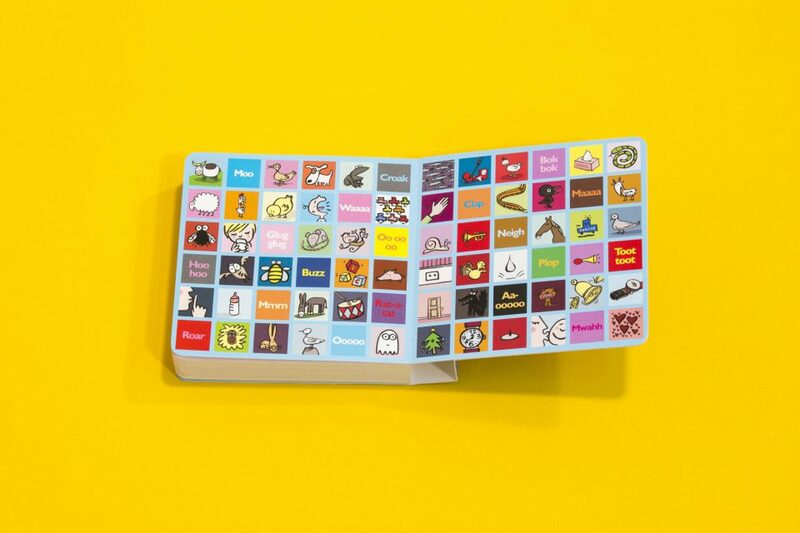 With a catalog of over 50 animals and objects on 116 thinner-than-normal-but-still-sturdy pages (probably the longest board book on record), this offering gives youngsters plenty to chatter about. This celebration of sound is epic in its scope and delightful in its execution… Clever and raucous fun.